Gorilla Glass 2 appeared at CES 2012 and we can expect to see it “April or May”, according to The Verge. 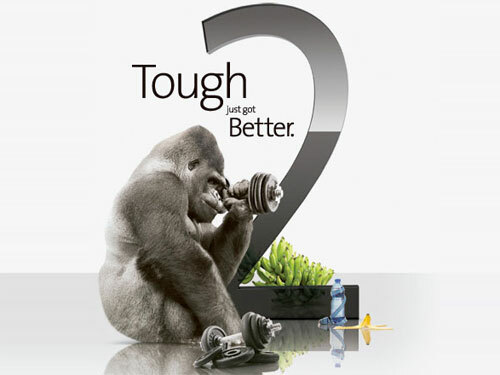 Gorilla Glass 2, Corning’s stronger, thinner sequel, is now being sent out to manufacturers with equipped devices set for release in the second quarter, the company announced. After launching its “new glass composition” at CES early last month Corning has been hard at work qualifying its new standard with customers. So which device will get the GG2 treatment first, and when? The Verge reports that the earliest Gorilla Glass 2 devices won’t show up until “April or May,” although it’s unclear which products will be the first to dawn the new standard. Corning apparently made it a point to mention that both Acer and Asus are using Gorilla Glass 2 in upcoming products, so perhaps we’ll see it on something like the Acers new tablets or new additions Asus Transformer Infinity series. Image Leak – LG Cayman and Droid Fighter Coming to Verizon? Asus Unveils the New Transformer – Infinity Series and 300 – and the Padfone!